1. 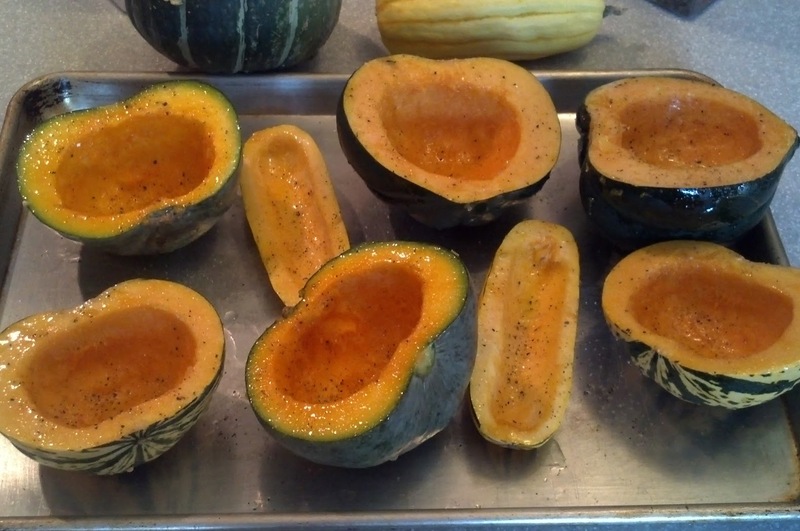 Preheat oven to 400 degrees & prepare squash halves for baking: brush with olive oil, season with salt and pepper. Bake for 50-60 minutes. 3. 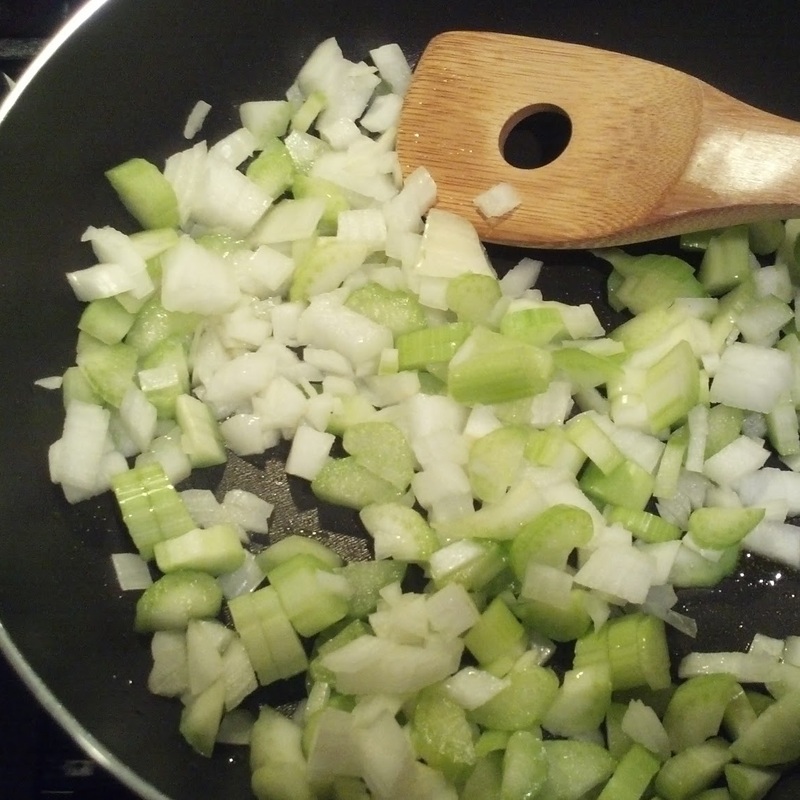 In 1 t. olive oil, cook onion and celery until tender, apx. 5 minutes. 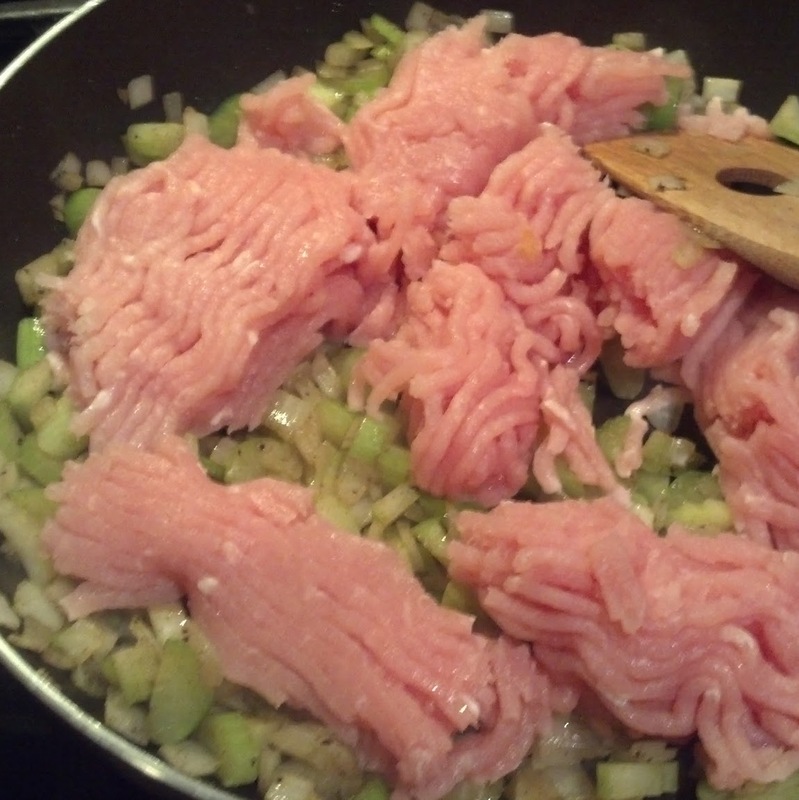 Add ground turkey and cook until browned. 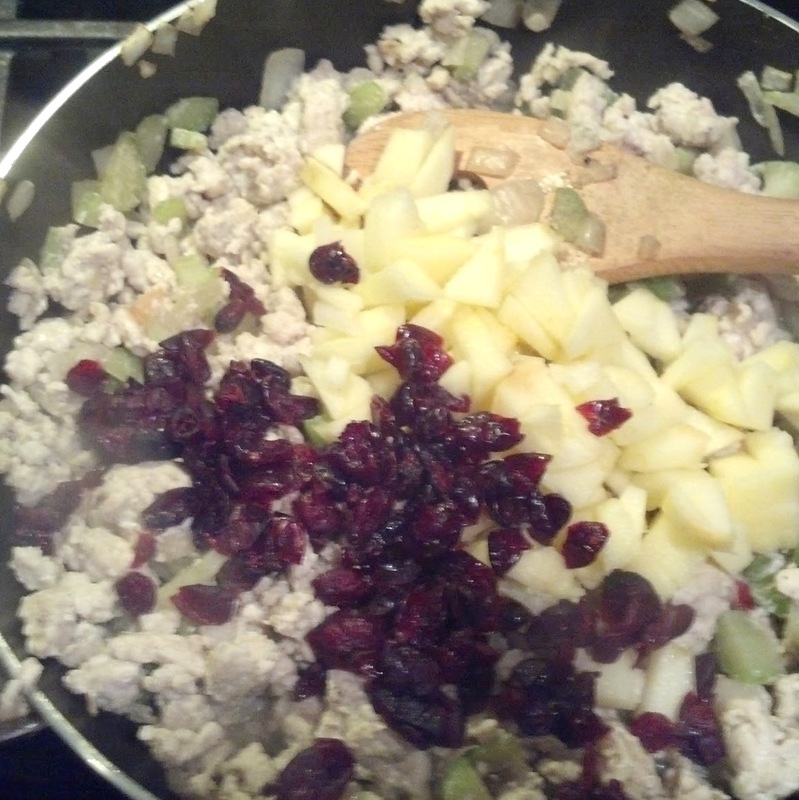 Add diced apple and cranberries, cook for an additional 2-3 minutes, season with sage, and ground pepper and salt to taste. 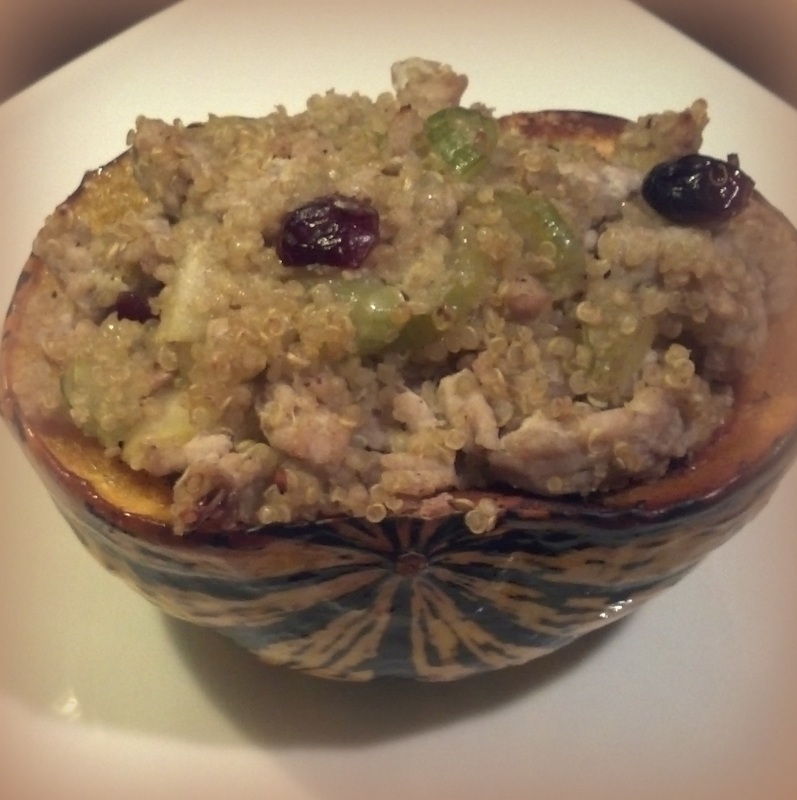 Add cooked quinoa to the pan and toss together. 4. Heat oven to 350 degrees. 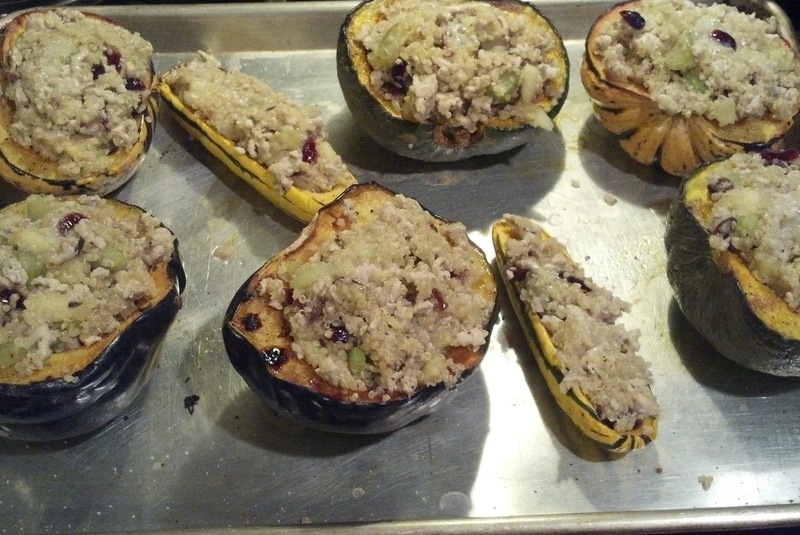 Stuff the squash halves with turkey, quinoa mixture and return to oven until heated through 15-20 minutes. Sign up for my Newsletter for fit tips, recipes and special offers! Previous PostPrevious Friday Fun…Be a Good Tree!